What are the right social media sizes for 2019? Here’s an updated guide! Have you ever posted an image to social media, only to find it looks awful in your feed? Or maybe you’ve tried to access an image in someone else’s feed and it was cropped weird or just showed up really small. Chances are the images weren’t sized correctly for the platform. Join me as I give you the low down on the right way to upload the correction social media image sizes for 2019. What size should social media images be? Each social media platform presents text, links and images in a different way. Facebook is different than Instagram and Instagram is different than Pinterest. As photographers, though, we want our work to look flawless no matter where a client sees it. That means sizing your images correctly for each platform, and for each type of image on the different platforms. You also need to check in on social media sizing occasionally. A while back, for example, Facebook went to a round profile picture and changed how cover photos were presented. Make it a point to revisit these sizing guidelines occasionally to keep your images looking like the pro pics they are. It’s also important to make sure that ALL of the images appearing in your feeds are sized correctly, including your profile picture, cover pages, link images and thumbnails. Don’t ignore the details…ensure all your social media image sizes meet the platform’s criteria. As you read through this tutorial, you might be thinking, “But what resolution do I need in terms of DPI for my images?” Don’t scroll up and down this post looking for a magic DPI number. Because here’s a secret…it doesn’t matter. Yes, you heard me right. It doesn’t matter. DPI, or dots per inch, is a term used for printing. It is completely meaningless when it comes to displaying images on a monitor or screen. There’s a lot of explanation that goes into why this was the belief for so long and why it’s not the case now. There’s a great article on web and screen resolution on the Photoshop Essentials blog if you want the nitty-gritty. But the bottom line is DPI doesn’t matter one lick when it comes to how your images are displayed online. What you need to be concerned with is pixel dimensions, which tells us the width and height of the image in pixels. The sizing guidelines below tell you the size, or pixel dimension each social media network requires for images. But wait…why does Lightroom ask for a resolution under the Image Sizing dialog box? What do I type in there? I need to enter some value! Lightroom doesn’t discern between images exported for print and images exported for the web. The DPI you pick will only come into play if someone were to take that image and try to print it. So I leave mine set at 72 dpi. But I could choose 300 or 5. It won’t affect how the image is DISPLAYED on the web, only how the image looks when printed. The two images below were exported at the same settings, with only the DPI changed. The top image is at 72 dpi, the bottom is at 35. Can you tell the difference? Me neither. Are you really confused now? I can see why. SO MANY photography sites insist you export at 72 dpi or 96 dpi or 150 dpi. Ignore them. It doesn’t matter! Bottom line is don’t stress the DPI when you’re creating web images. And don’t stress that there’s no DPI listing on the sizing guides below. Facebook has more than 2.32 billion monthly users. That’s a lot of eyeballs looking at your images. Make sure they all look good, from your profile picture to your client images. These are individual photos uploaded with a post. Whether you’re sharing client images or photos of your cat, they’ll look best sized as follows. You should also know that Facebook doesn’t stretch and distort your image to fit different devices. It crops it instead. On mobile devices, Facebook crops the sides of an image to make it fit the mobile platform. On a desktop, Facebook will crop the top and bottom of an image to make it fit. Will appear as: a maximum width of 470 pixels in a newsfeed; a maximum width of 504 pixels on a page. One trick that some social media guru sites share is that Facebook will accept images sized up to 2048 x 2048 pixels, then size the image down through it’s algorithms. This is the small picture in the upper left corner of your Facebook profile. This photo also appears next to every post you make on other’s walls, every comment you leave and in the search bar. When you think about it, your profile picture is the single most-viewed of your photos. So it’s probably a good idea to spend some time making sure it is sized, and cropped, correctly. Remember, your profile picture appears as a circle on a desktop but retains its square size on a mobile device. Cover images are the rectangular images that appear at the top of your Facebook page. Event pages get a slightly larger size. If you’re creating an event, you’ll want to size that differently. If you’re using a personal page, the profile picture will actually cover up part of your cover image, so make sure they two are compatible. Cover images also present slightly different between desktops and mobile devices. Upload size: 800 x 312 pixels for standard cover pages; 1920×1080 pixels for event cover pages. What size should an image be for Instagram? 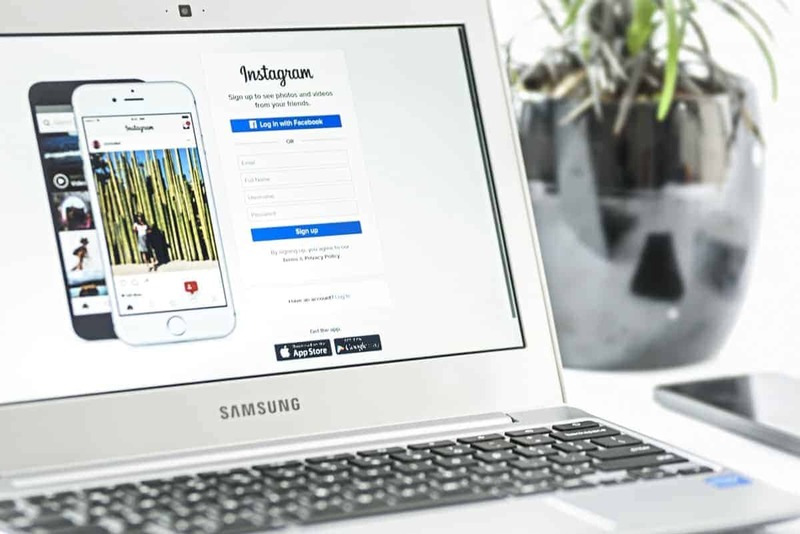 While Facebook still reigns supreme for the world as the social media king, Instagram has been growing in popularity during the last several years. On Instagram, everyone is a photographer, but it is still a popular way to share your work and grow a client base. Here are Instagram’s 2019 social media image sizes and guidelines. Like a Facebook profile picture, your Instagram profile picture is linked to many things you do on Instagram. So make sure the profile photo is representative of you and your brand. Upload size: 110 x 110 pixels. Instagram will accept larger photos but make sure your profile picture has an aspect ratio of 1:1. If a user clicks on your Instagram profile, they will see your Instagram feed, also called the grid. Instagram presents each of your “posts” as a square thumbnail graphic arranged in rows. Instagram takes any image you posts and turns it into a 161×161 pixel thumbnail. If you aren’t uploading square images to your feed, the platform will decide how to present your image, which may or may not be how YOU would like those images to be presented. For the best results in your grid, use only square photos, or photos with a 1:1 aspect ration. Instagram allows larger images but will scale them down. One of the newer features on Instagram is Instagram stories. These are videos and photos that vanish after 24 hours and don’t appear in your Instagram grid. If you’ve heard of or used Snapchat, an Instagram story looks and feels a lot like a Snapchat story. Instagram stories are meant to be transitory. You can take photos or videos and add stickers or text to your story. Instagram stories have a different size and orientation than regualr pictures. If you are using third party software to create your own Instagram stories, you’ll need to make sure you are sizing your images correctly. Upload size: 1080 x 1920 pixels (presents as a rectangle taller than it is wide). Keep an apsect ratio of 9:16 and your total file size as less than 4 GB. Want some ideas on using IG to grow your business? Click here! What size should an image be for a Twitter post? You don’t have to be the president of the United States or a misbehaving celebrity to have a Twitter following. Twitter accepts more file formats PNG, GIF and JPG. Profile photo: Square image, recommended 400 x 400 pixels with a maximum file size of 100 KB. Photos in posts: Recommended 1024 x 512 pixels, maximum file size of 5 MB for photos and 3 MB for animated GIFs. Twitter will “collapse” photos to 506 x 253 pixels to appear in other’s streams. Make sure the critical component of your image is in the center of your photo, so if the image is collapsed, it still makes sense to the viewer. What size should an image be for a LinkedIn post? LiknedIn isn’t quite the social media giant that Facebook is, but with more than 450 million users, it too deserves correctly sized images. It can be a great way to network with other professionals or find employees or contractors. LinkedIn is more straightforward with their guidelines, specifying a minimum and maximum dimensions as well as giving you maximum file sizes. What size should Pinterest images be? Ahhh, Pinterest. Where else can you find shutter speed cheat sheets, personal branding inspiration shots, a recipe for cheesy zucchini enchiladas and tips for making your own dryer sheets using old t-shirts and essential oils? If you are using Pinterest to grow a following and drive traffic to your website, you want those images looking positively enticinge. No one wants to check out senior girl poses on a site if the pinned image is out of proportion or otherwise wonky. Yes, wonky is a real word. Your Pinterest profile image is a square image. It displays at 165 x 165 pixels on the homepage and 32 x 32 pixels on the rest of Pinterest. Users reporting a maximum file size of 10 MB. Board Images: 1:1 aspect ratio; 600 x 600 pixels. The image you choose for your board is important. Your image should fit the size criteria and be enticing to your audience. Make sure the image is relevant to the board and that it displays well when scaled down. It really is a pain to have to export all your content to so many different image sizes. Don’t work harder than you have to, however. If you have Adobe Photoshop or Lightroom, you can create actions or presets to speedup your workflow and insure your social media image sizes are correct. You can also purchase pre-made templates that do all of the work for you. If you don’t have PS or LR, some online software can help you size your images correctly. Canva, Stencil and Snapp are three free (or have a free trial) online design tools. Not only do they help you size images correctly, these sites have a number of other fun features like templates, some free stock images and a host of great design ideas. Want to check out some of our other great Lightroom presets? Go here! Social media gives small entrepreneurs with small budgets the chance to grow big businesses. Visual content is what drives many of these social media platforms, and as photographers, the visuals are more important than ever. Create a step in your workflow to meet the expectations of the social media image sizes consistently every time and ensure your visual content always looks its best.